This is my version of a popular salsa fresca served at El Sarape Mexican Restaurant, in Green Bay Wisconsin. Through experimentation, I’ve deduced they use two signature ingredients which puts their salsa in a class by itself. Control the heat by seeding the jalapenos — their version however, is quite spicy, which is how I like it. On a side note, El Sarape is one of only two restaurants in the area serving authentic Mexican cooking. Their two-pound burritos are epic. Enjoy! Reserve the salt for the last step*. Prep and wash everything and place in a food processor with the ground oregano. Pulse until a fine texture is achieved (you may need to scrape down the work bowl with a spatula.) Carefully remove the cutter blade and salt to taste. Mix well and let stand ten minutes before serving. *NOTE: Salt wreaks havoc on your food processor blade, dulling it very quickly. Add it last to avoid this issue. Due to the large volume requirement, I suspect El Sarape’s salsa is processed in a blender. I prefer to present mine with a little more texture, using a fine-cut food processor pulse blade. This is a classic chopped salsa which means “Beak of the Rooster” in Spanish. It is traditionally quite spicy due to the serrano chilis. You will not find it this way in most restaurants, as they invariably default to a very mild salsa for mass appeal, which I think is a big mistake. Chop the ingredients by hand using a very sharp knife. You’ll need that keen edge so you can ensure precise cuts and not risk mashing the tomatoes. Also ensure the ingredients are chopped uniformly, so the color and texture stand out. Let sit for a half hour before serving so the flavors have time to incorporate. If you must put it in the fridge, do so only after trying to use most of it — the cold kills the flavor and texture, and it sadly won’t be as good the next day. Enjoy – this is a classic that I serve with many recipes. It never fails to please. Cut the ingredients into 1/4″ sized chunks. Do not use a food processor. Place in a mixing bowl. Stem and fire the serrano chilis. Then coarsely-chop them and leave the seeds intact. Crush and finely-mince the garlic. Add with the salt and lime juice. Toss gently and let stand at room temperature before serving. NOTE: You may need to remove a bit of the water left after standing for 1/2 hour. This is a normal reaction to salt. Compensate by adding a bit more lime juice after this separation. Makes just over two cups. 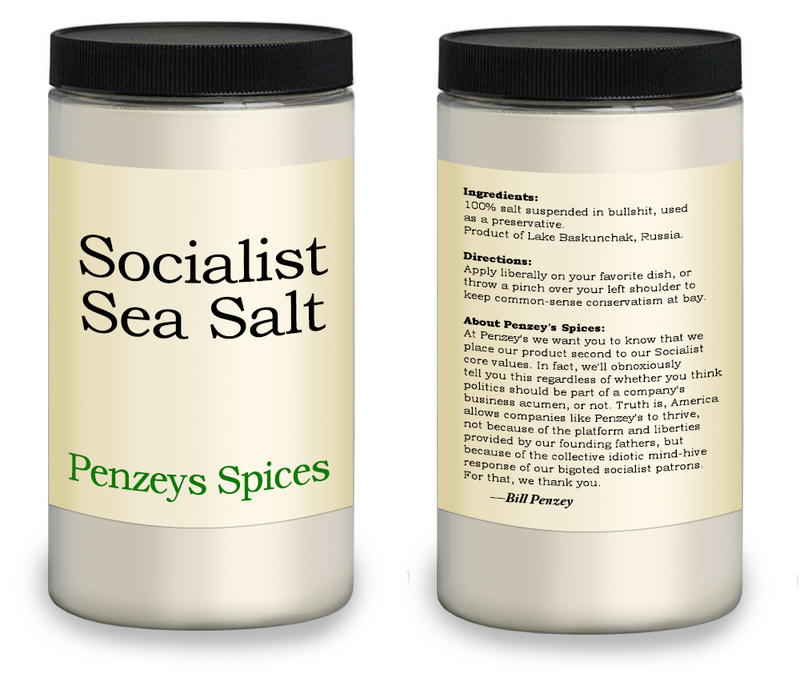 This is an authentic salsa that originated in the Sonoran desert of Northern Mexico. It is popular in Arizona and New Mexico due to the availability of the hot dried chili pequin pepper. 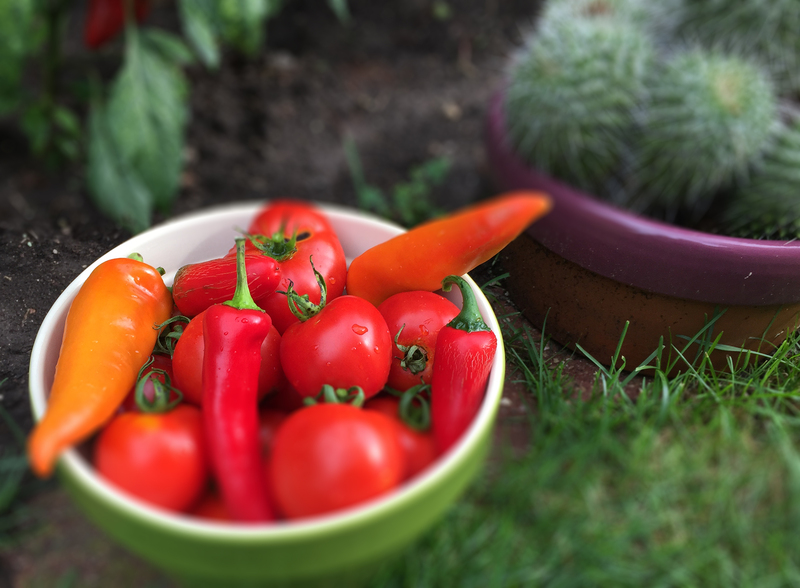 The pepper is a close relative of the very small chiltepin pepper — essentially from the same cultivar; Capsicum Annuum var. Glabriusculum. If you have dried chiltepin peppers on hand, feel free to use those instead — they tend to be more spicy. My recipe is extremely hot – adjust the heat to your preference. 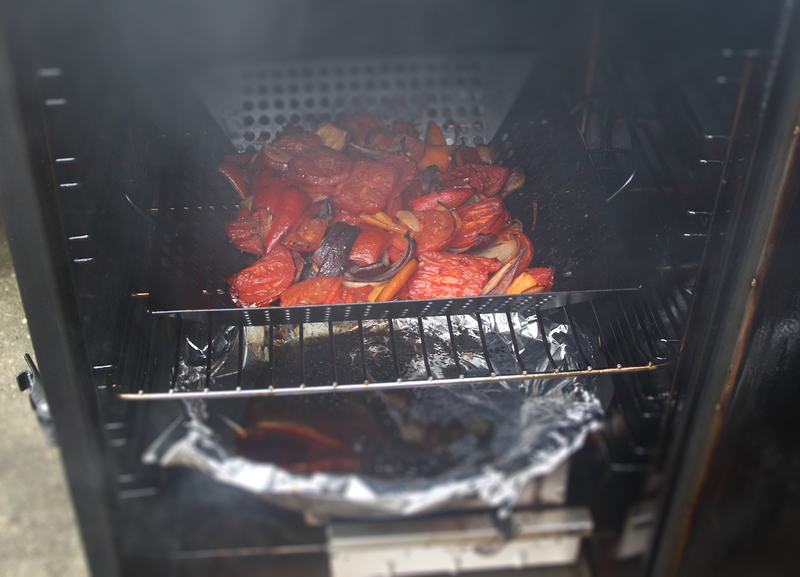 You may use a propane torch or your oven broiler to blacken the cherry tomatoes. Don’t skip this step, as it’s critical to achieving the smoky, charred flavor that makes this dish so special. Let stand for an hour in the fridge before serving. En Fuego! 30 cherry tomatoes, washed and drained in cold water. Wash thirty small, fresh cherry tomatoes and set aside. Wash and trim the fresh cilantro leaves. Heat a small, heavy cast-iron skillet over medium heat and add the dried pequin peppers. Toast lightly, stirring constantly to avoid scorching. Remove from heat. Toast the garlic in the husks using the same manner. The garlic will take longer to toast. Remove when slightly charred, and then peel. 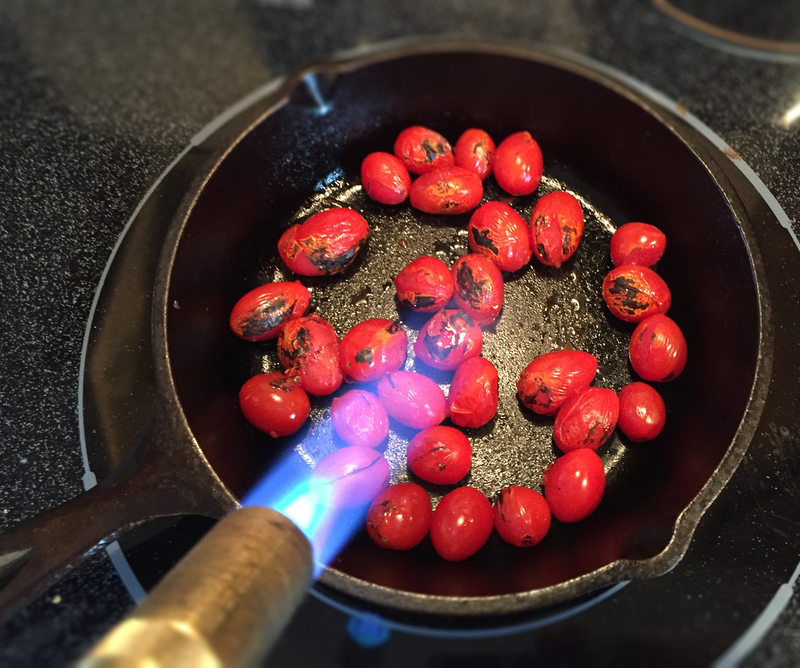 In a heavy eight-inch cast-iron skillet, blacken the cherry tomatoes with a propane torch. Use extreme caution – when possible use this technique outdoors to prevent a fire hazard. Stir occasionally to ensure they are evenly blackened. Remove from the skillet and place in a blender with the cilantro, toasted pequin chili, the garlic, vinegar, salt and ground black pepper. Add the ground coriander and Mexican oregano. Pulse until smooth. Add a bit of cold water if you need to. Remove and let stand in your refrigerator for one hour before serving. Makes just over one cup. 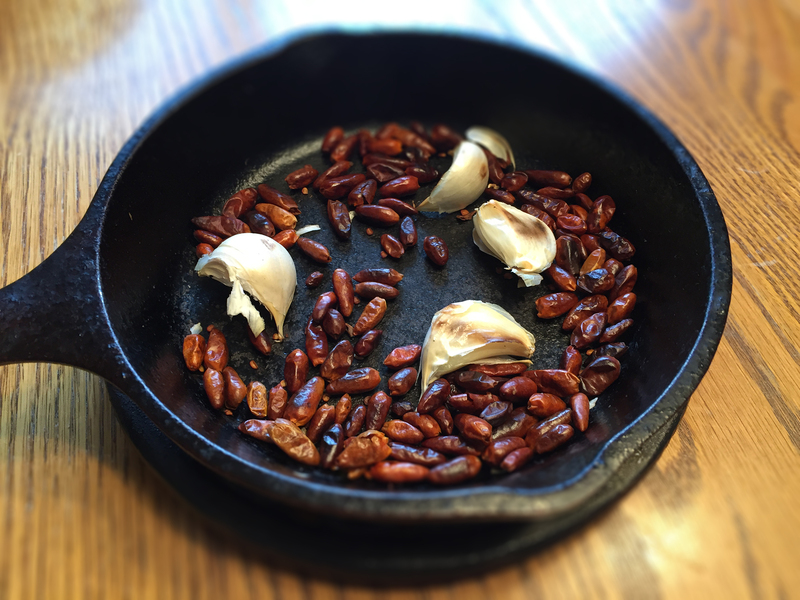 Toasted chili pequin and garlic in a cast-iron skillet. Grilling the serrano peppers, onion and garlic over hardwood charcoal in a griling grate. 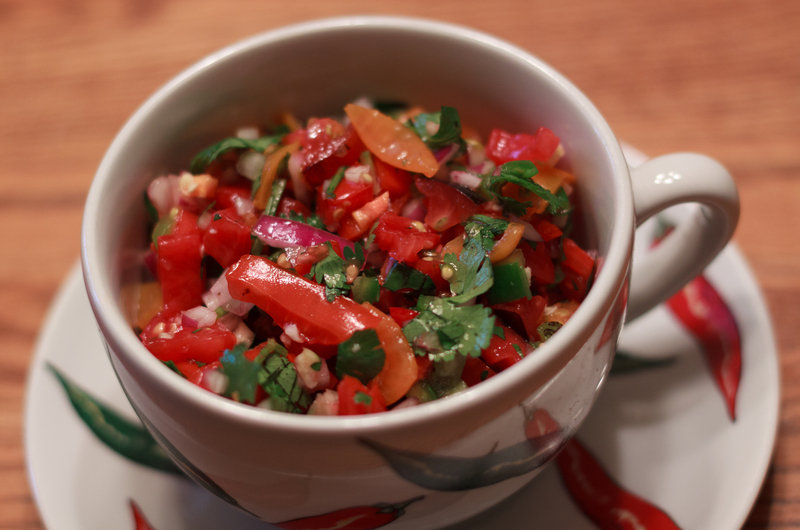 This is a traditional Mexican salsa recipe that can be quite spicy. 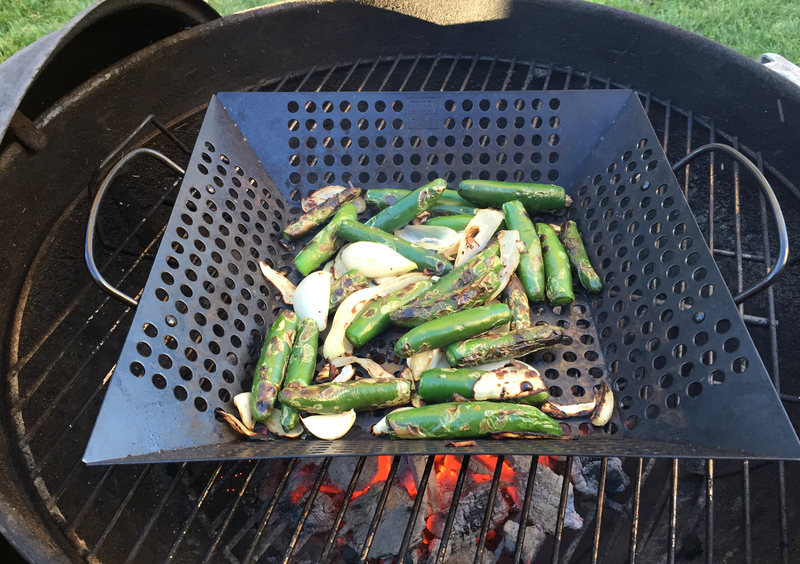 You can blister the serrano chilis and onion on a cast-iron comal or fire them over wood coals. Honestly, for me, it’s much easier to use a dedicated grill basket over charcoal. The salsa is traditionally ground by hand in a molcajete – a handcrafted lava-rock bowl consisting of a mortar and pestle, but you can also use a food processor with a pulse blade. Serve on fresh-toasted tortillas with shredded Queso Fresco or Monterey Jack cheese. Wash and stem the serrano peppers. Peel and quarter the onion. Peel the garlic cloves. Prepare an outdoor charcoal grill with enough hardwood coal for a small fire. 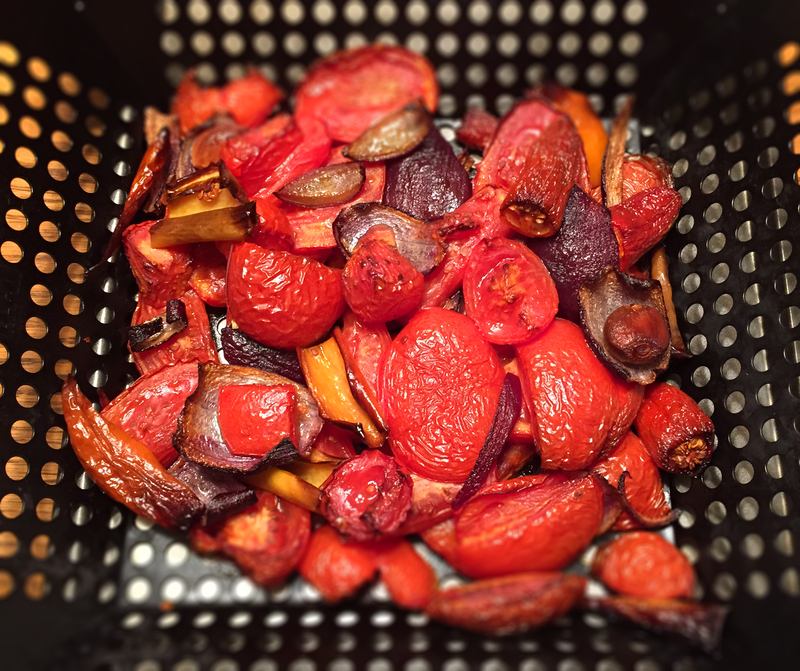 When white-hot, place the grill pan over the coals and add the peppers, onion and garlic. Sear and let blacken for about twenty minutes, stirring occasionally. Remove from heat, place in a food processor and pulse until rough-choppeed. Add the cilantro and Kosher salt to taste. Add a small amount of water if needed. Stir well and let stand to incorporate. Using a comal or cast-iron pan, heat the tortillas on medium with a bit of olive oil until lightly browned. Flip occasionally to ensure they don’t burn. Remove from heat and cut into quarters. Place the salsa and cheese on a quarter tortilla. Serve immediately. 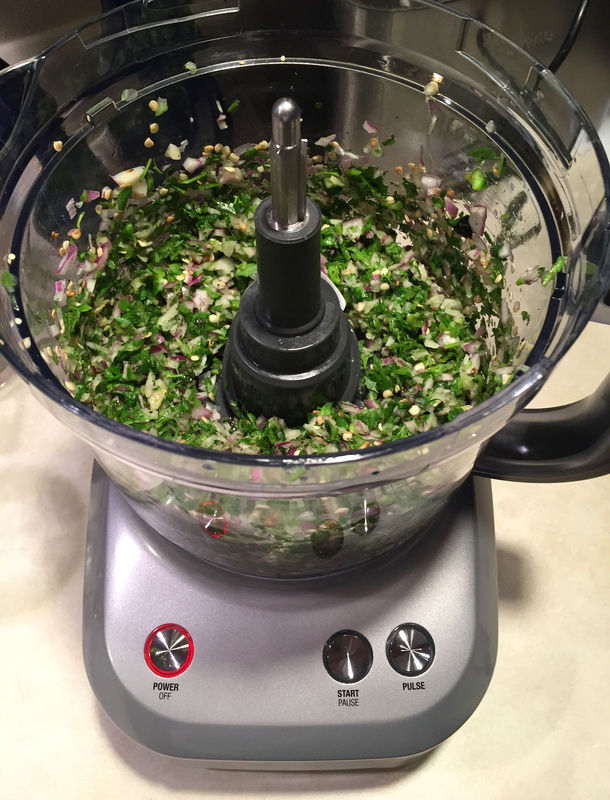 Yet another variation on my fresh, traditional salsa verde. In this recipe, the serrano chilies are fire-roasted until charred. This method adds a subtle, complex flavor that is distinctively different. 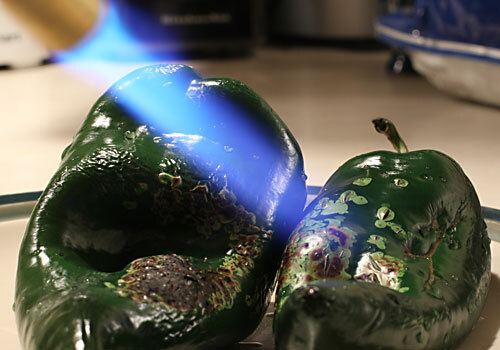 You may choose to fire the peppers on a grill, gas burner or with a propane torch. Any of these methods work great. There’s no need to peel them afterward — just stem them and pulse in your food processor until the desired consistency is achieved. Note that a pinch of ground toasted whole cumin seed is also added. The result? Perfection. 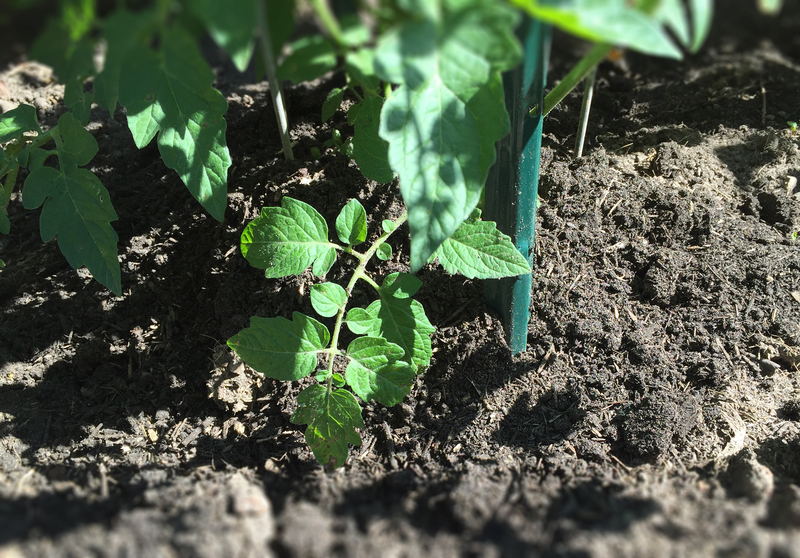 In many traditional Mexican salsa recipes the tomatillos are simmered and then blended. Culturally, each has its place — and people seem to be vehemently polarized on their opinion of which they like better. I love this version; it is very refreshing on a hot summer day. Peel the tomatillos and ensure they are completely washed clean in cold water. Core and quarter them and place in a food processor. Blacken and stem the serranos. Add to the processor with the onion, mashed garlic cloves and cilantro. Pulse until finely-chopped, but not smooth. Add the salt and toasted ground cumin. Mix well and let stand for 1/2 hour before serving.